There are many character qualities that parents must instill in their children and one of those qualities is how to be a kind, caring individual. However, teaching an abstract thing like kindness or empathy can be a challenge. It's hard to know where to start. Harvard's Making Caring Common Project, whose mission is to alleviate bullying problems in schools and provide resources for parents and teachers on teaching children how to be kind, recently completed a national survey. The survey polled over 10,000 students across the United States. The results showed that about 80 percent of youth claim to value "achievement and happiness" over caring for others. The same survey showed that while 96 percent of parents say that their priority for their children is to be kind and have good character, 81 percent of kids think that happiness and achievement is their parents' top priority. Richard Weissbourd, a Harvard psychologist, gives several suggestions in an article in Psychology Today for parents to encourage kindness in children. Insist your children treat everyone with kindness and respect, from the babysitter to the store clerk who waits on them. Before letting your child quit an activity, discuss how their leaving that activity will impact others involved. For example, if they no longer want to play basketball, are there still enough players for the team to go on? Do they have someone who can fill the child's position without the team being negatively impacted? There are times when children should finish a commitment whether they still enjoy it or not, at least for that one season. Make your child help at home rather than waiting on him. Encourage him to help the neighbors by shoveling snow or doing other small tasks for no monetary reward. Children learn from those by whom they are surrounded. 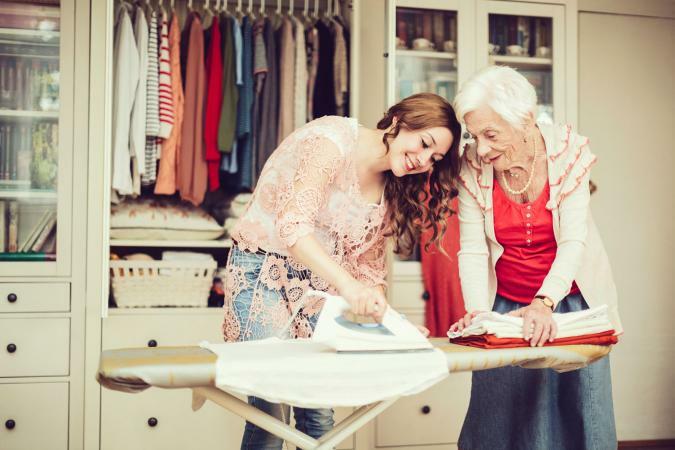 Child development instructor, Stacey York, suggests letting your child catch you in acts of random kindness, such as offering a ride to the grocery to the elderly neighbor and so on. How do I react when someone is rude to me? Am I kind or am I rude back? Do I help others when I see a need? Do I do any volunteer work? How can my child be involved in that volunteer work? Spending some time during the holidays serving at a homeless shelter, visiting nursing home residents or donating toys to programs like Project Angel Tree. Look for opportunities to help others throughout each day. Remember your child is watching you. When it comes to rewarding kind behavior, research from the American Psychological Association Journal indicates praise is more powerful than material rewards. Even in children as young as 18 months, the study found that those who received a reward were less likely to repeat the behavior while those who were praised self-repeated desirable traits. "That was nice to give your brother your extra cookie." "You saw that your friend was upset and you were kind to her. I'm proud of you." In a separate study reported in a New York Times article entitled, Raising a Moral Child, researchers studied a group of seven and eight year olds. They encouraged the children to share an item, and then separated the children into groups. Some children received praise for the action of sharing and some received praise for their character. Praising Action: "Good job sharing your marbles." Praising Character: "You must be a kind person to share your marbles with those who don't have any." Interestingly, the children who were praised for their character were more likely to repeat the sharing when provided with another opportunity than those who were praised for the action. From this, it is a solid conclusion that if parents want their children to continue to show kindness to others, they should praise their children for having the character of kindness rather than the resulting actions of that kindness. Kindness is something that stems from feeling empathy toward other people. It grows slowly as your child witnesses kindness from you and the others around him. Alfie Kohn, author of The Brighter Side of Human Nature: Altruism and Empathy in Everyday Life, believes that it is natural to wish to help others. He says, "It's almost as though we're born predisposed to be upset by other people's pain." Kindness is something that is learned over a lifetime of watching parents, teachers, friends and even co-workers who are empathetic toward others. It's never too late to start teaching empathy. Today is a great day to begin teaching your children how to be kind, caring people.